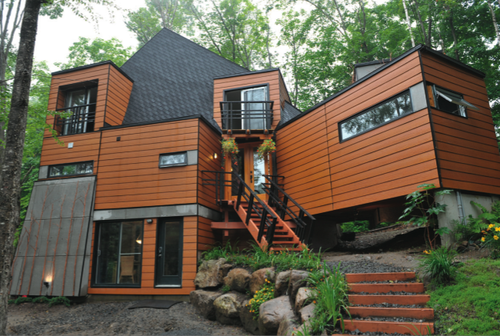 Storage Containers may not be the first thought when considering modular steel buildings, but that is exactly what people are using for some quite unique architectural statements, worldwide. A quick look at the basics and the benefits become clear. A bespoke modular steel frame home is often a more expensive option than traditional brick built or stick built homes. 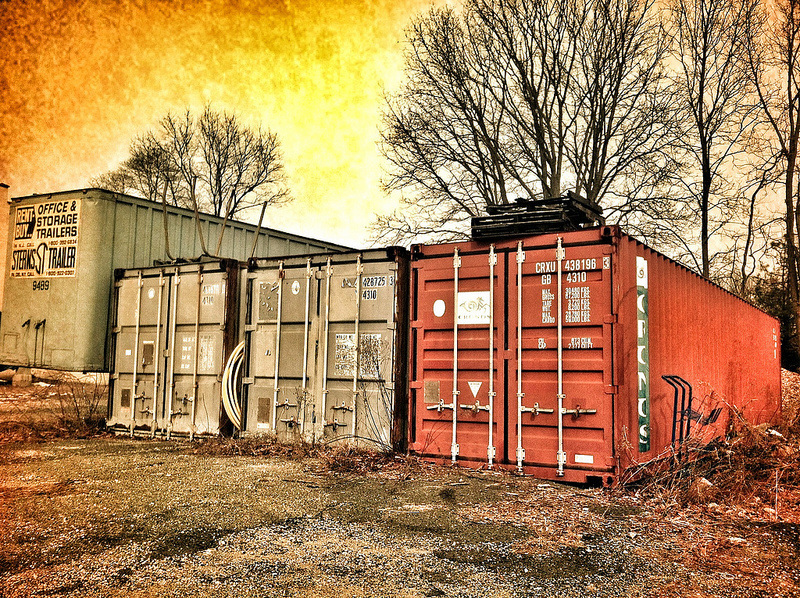 A storage container can cost as little as a few hundred pounds. 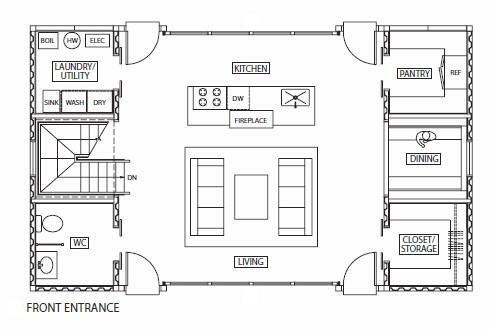 Connect six together and you could have a 1280 square foot building, which would generally be a three to four bedroom home in the UK. 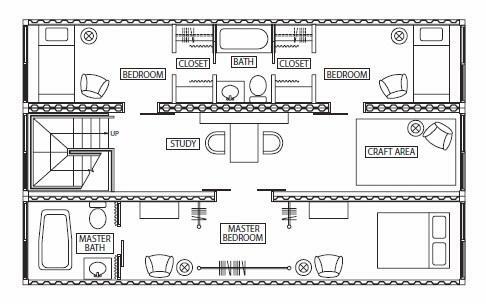 So, for around £2,000 you can have a basic structure for a steel home that could otherwise cost tens of thousands of pounds. 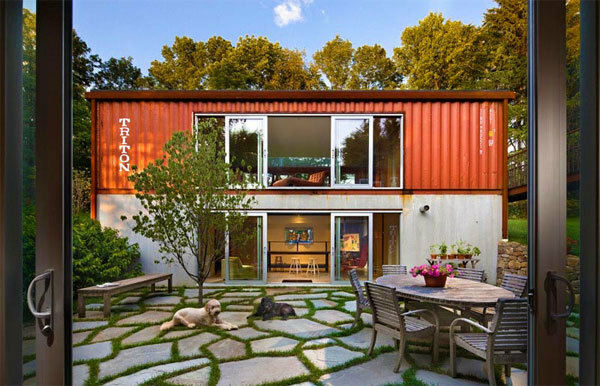 Storage Containers offer significant strength and durability. The steel made boxes are able to withstand corrosion and damage – they are after all, usually used for hauling stuff around the globe on giant ships. The cubic dimensions also provide significant internal strength. The floor, unlike a normal house has its own steel foundations. The modular nature of an existing Storage Container makes it easy to add additional space by simply adding extra Storage Containers. The usual dimensions are 20, 30, 40 feet by 8, 10 feet wide, and 8 feet 6 inches high. The width is not necessarily an issue, because holes can be cut in the walls and open space can be included within the design spanning the required width of storage containers with an added roof or ceiling. Another benefit of building with Storage Containers is the speed of the build. Some Storage Container companies will cut the holes required and provide the replacement support, which will mean what is delivered to site is simply put into position. This means the times will spend on site will be the absolute minimum. This leads on to cost. Using the example on the left, which would amount to approximately 1920 square feet, which is obviously pretty large, you would be looking at costs for site preparation and slab costs plus the infrastructure work, which would include glass, roofing, internal works, insulation etc. Plus of course the cost of the Shipping Containers, trades etc. A budget of around £100,000 may suffice (this is a broad brush, as with any subjective costing example). Homes have been built of a reasonable standard for as little as £40,000. Travelodge opened a hotel in Uxbridge, London that is constructed entirely from 86 Shipping Containers of various sizes. There are 120 bedrooms and all fitting was done on-site and works took just ten weeks. 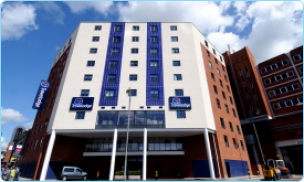 It is said that Travelodge saved around half a million pounds in construction costs.